The AquaPaws series was designed to improve the lives of canines and small animals by offering low-impact, high-resistance therapy or workouts for rehabilitation from injury, optimal training and conditioning, and weight loss. AquaPaws provides the natural properties of water (buoyancy, resistance and hydrostatic pressure) for a rigorous cardiovascular workout with reduced impact and stress on joints. 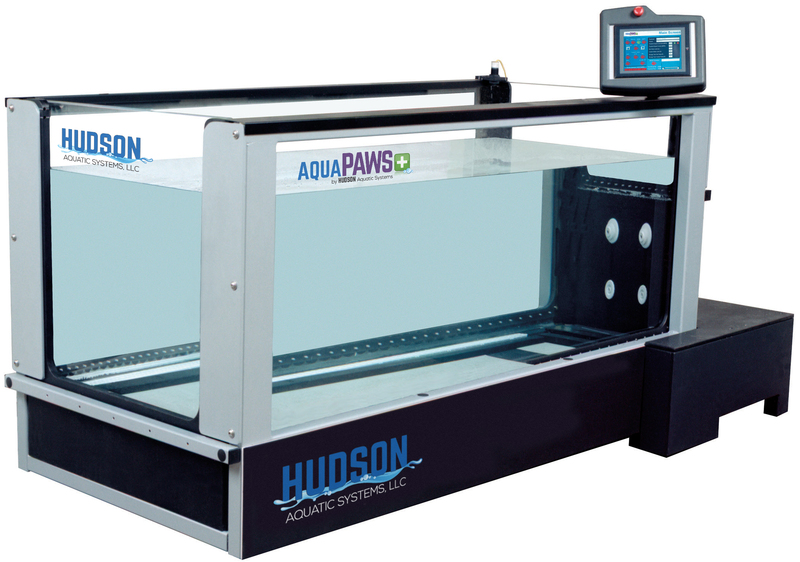 The AquaPawsPlus system includes additional features to the AquaPaws system. It provides a larger touch-screen control panel with 500 programmable treatments, an energy saving mode as well as an auto-clean system, where the unit cleans itself under the treadmill belt. Contact Us for more information about how AquaPaws Plus is the right fit for your practice. Payments as low as $865 per month.